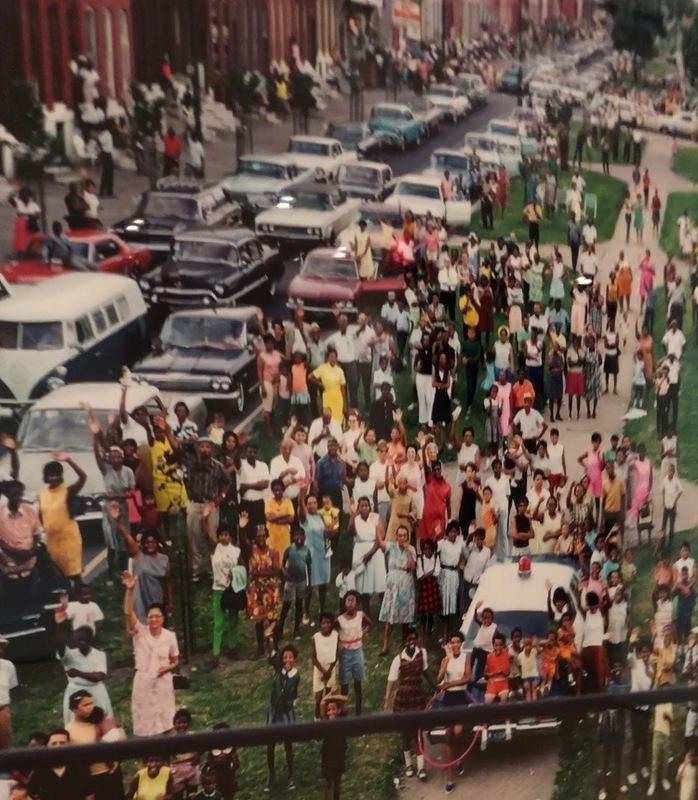 Il 1968 è stato un anno cruciale per la storia degli Stati Uniti d’America. Il 5 giugno durante un comizio viene assassinato Robert Francis “Bobby” Kennedy, candidato alle elezioni presidenziali del 1968 e fratello del John F. Kennedy, 35º presidente degli Stati Uniti e anche lui assassinato 5 anni prima. Fu un vero shock per l’America, che proprio due mesi prima aveva assistito all’uccisione di Martin Luther King Jr. a Memphis. The Train: RFK’s Last Journey è una mostra fotografica che racconta il viaggio del treno che trasportò la salma di Robert F. Kennedy da New York a Washington D.C., per la sepoltura nel Cimitero Nazionale di Arlington. Questo viaggio viene presentato da tre diverse prospettive: quella del fotografo Paul Fusco, che si trovava a bordo del treno, quella della gente comune, che si trovava lungo i binari del treno per porgere i propri rispetti a questo stimato politico americano, e quello di RFK attraverso il cortometraggio girato da Philippe Parreno, che ha ricreato su video la stessa atmosfera che si respirava durante quel viaggio. Descritta così, questa mostra sembra davvero interessante. Quello che l’ha resa davvero speciale per me è stato ascoltare le parole di chi l’aveva vissuta quella giornata. 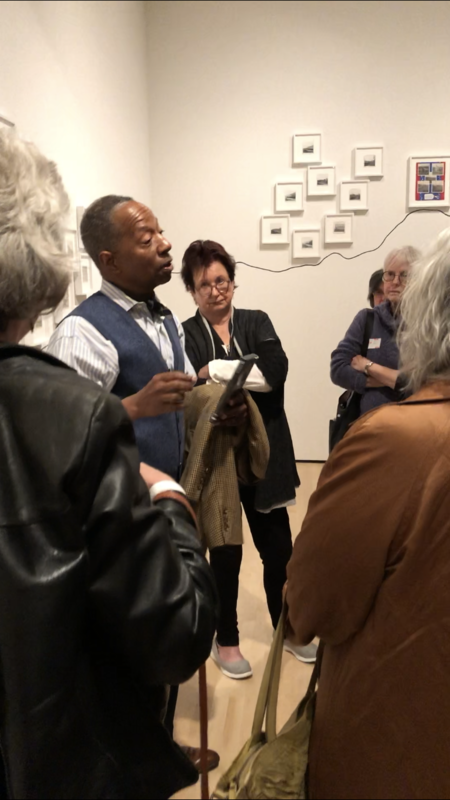 Alle 11.30 ogni giorno c’è una visita guidata gratuita organizzata dal San Francisco MOMA, il museo in cui è allestita la mostra. 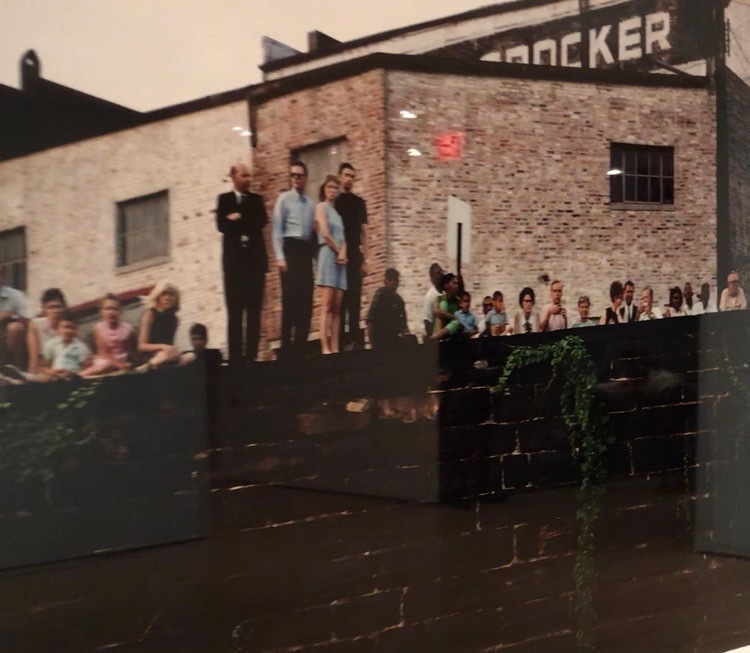 Insieme alla guida del museo, che ci ha spiegato la storia dietro ciascuna delle fotografie, c’era Michael Scott, che all’epoca aveva quattordici anni. Michael ci ha raccontato cosa significava vivere come afroamericano nel 1968 e cosa ha provato mentre vedeva passare la salma del suo eroe Robert F. Kennedy, in una bara avvolta dalla bandiera americana, sul questo treno diretto a Washington. Spiegava come, con la morte di Bobby Kennedy, a soli due mesi dalla morte di Martin Luther King, molti sentivano di aver perso la speranza. E’ stato sorprendente ascoltare anche alcune delle storie di chi come me stava seguendo la visita guidata. Tutti provenivano da città diverse e avevano avuto livelli di educazione diversa, ma avevano condiviso quest’evento cruciale della storia americana. Hanno affrontato temi come l’integrazione sociale tra bianchi e neri nell’America degli anni ’60. E’ stato estremamente interessante ascoltare queste testimonianze e vedere uno spaccato di questo periodo storico che noi studiamo solamente sui libri di storia. 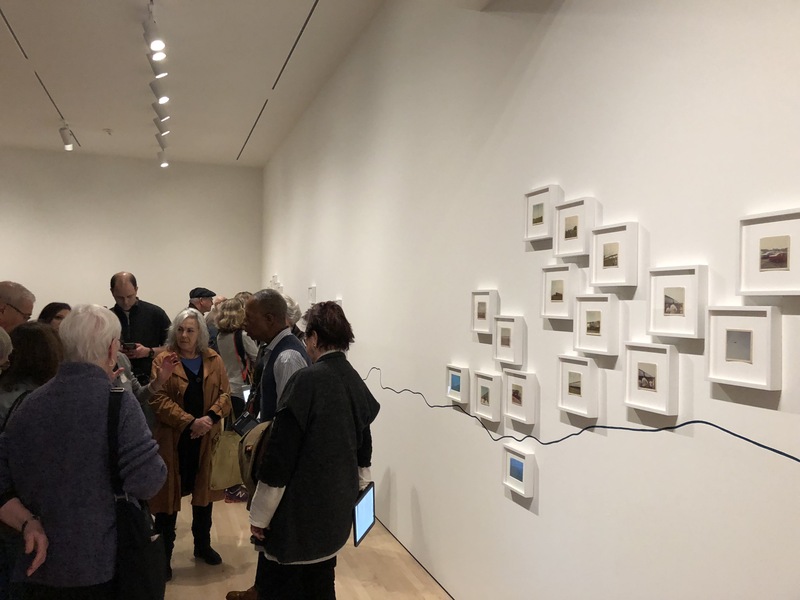 Se siete a San Francisco, vi consiglio vivamente di visitare il SFMOMA e questa esibizione in particolare, che è aperta fino al 6 giugno 2018. 1968 was a crucial year for the United States. Two of the most important political figures of the country were assassinated just two months apart: Martin Luther King Jr., who died in Memphis on April 4th, and Robert Francis “Bobby” Kennedy, who was fatally shot in Los Angeles on June 5th. He was a candidate for the Presidential elections of 1968 and brother to John F. Kennedy, 35th President of the United States, who was also assassinated just 5 years earlier. The nation was in a state of shock and profoundly divided. The Train: RFK’s Last Journey is a photo exhibit about the train that took RFK’s body from New York City to Washington D.C., where he would be buried with his brother in Arlington National Cemetery. A whole nation was reunited again in honouring RFK along the tracks as the train passed by. This journey is presented from three different angles. 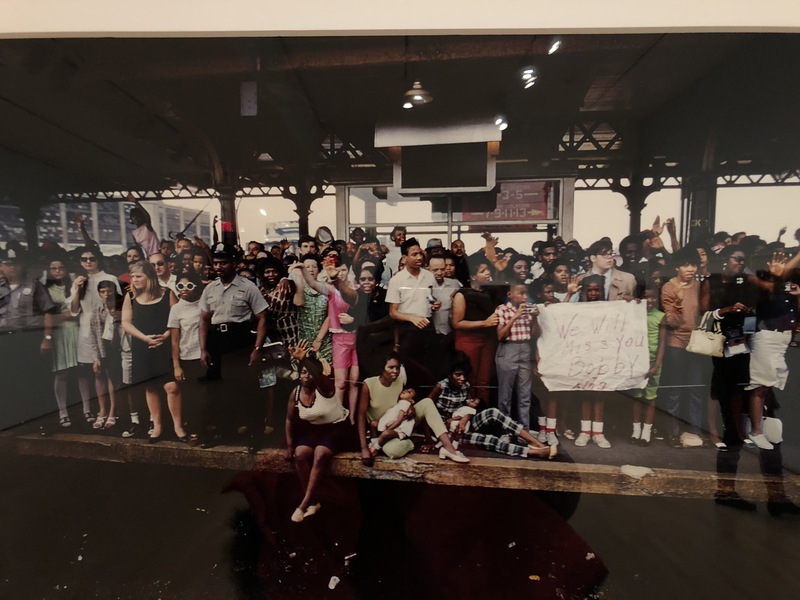 The first one is Paul Fusco’s point of view, a photographer that was on the train and who was able to capture the emotions of the people that were paying their respects from beside the tracks. The second point of view is the one of the observers that watched the train go by, and that were collected by the Dutch artist Rein Jelle Terpstra. The exhibit also includes a 70mm film reconstruction of the day by artist Philippe Parreno, who was able to recreate the same atmosphere as that day. On paper it already sounds like an interesting exhibition. What made it really special for me was listening to the words of someone that witnessed that journey. 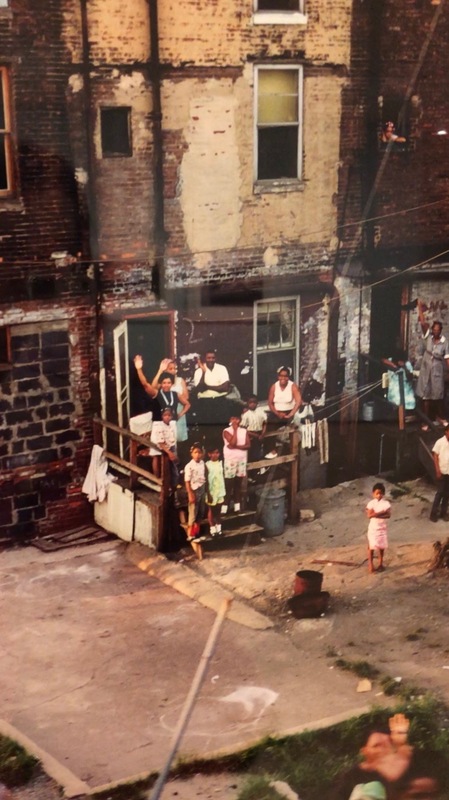 Every day at 11.30 there is a guided tour organised by San Francisco MOMA, which hosts this photo exhibition. On the day I visited, the tour guide was accompanied by Michael Scott, who was 14 in 1968. 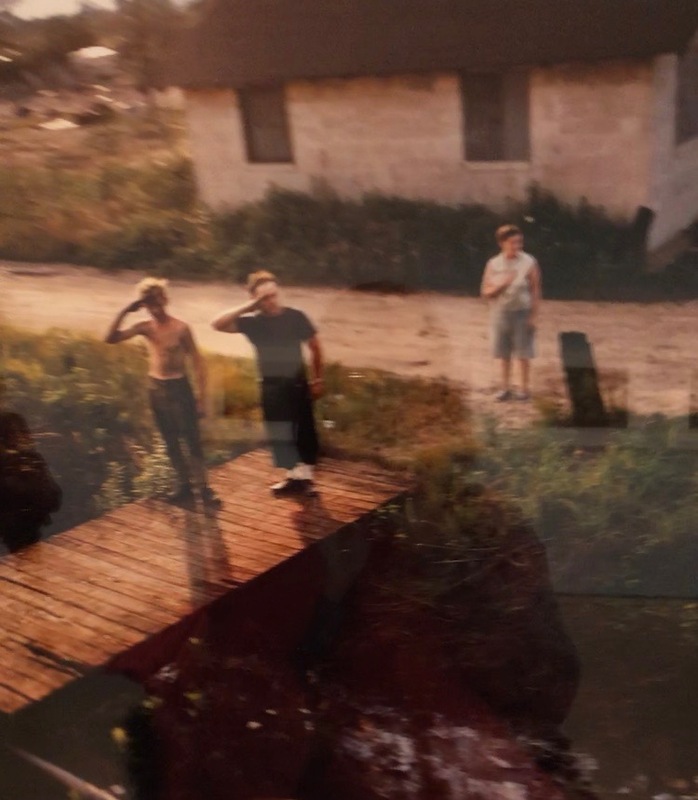 The guide was explaining why each photo was selected by Paul Fusco amongst the 1000 he took on the day of the journey, while Michael told us about what it meant to live as a black man in 1968 and what he felt when he saw the train carrying the casket wrapped with the American flag passed near his city. He told us that, with RFK’s death, just 2 months after Martin Luther King’s death, everybody felt like they lost their last hope. It was also surprising listening to some of the stories of some of the people that were visiting the museum and that also lived in that period. They were all from different cities in the States and they had different backgrounds and education levels, and they brought different perspectives on the event. They also talked about the integration in their communities in the sixties. It was extremely interesting to hear first accounts of these events from who actually lived it, instead of only reading it on the history books. If you visit San Francisco, I strongly recommend visiting SFMOMA and this exhibition in particular. It will be open until June 6th 2018.